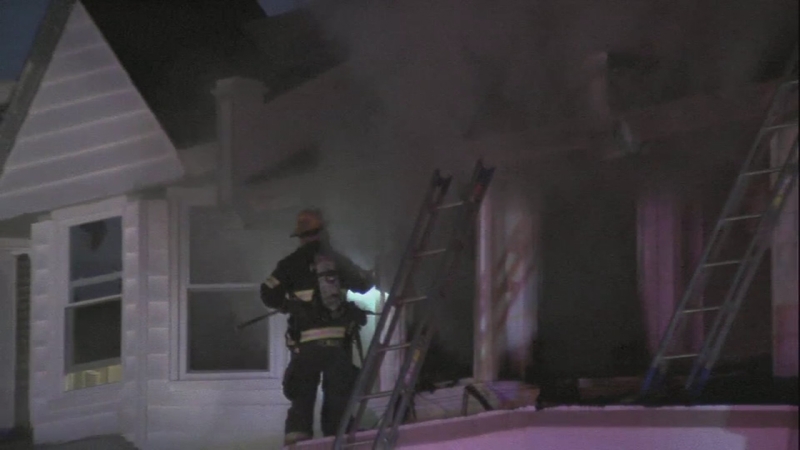 WYNNEFIELD (WPVI) -- Three people were killed and one injured in a house fire in the Wynnefield section of Philadelphia. It happened shortly before 5 a.m. Sunday on the 5400 block of Diamond Street. Police identify the fatal victims as an 84-year-old Clifton Hickman, 66-year-old Shirley Hickman, and 29-year-old Tyreke Johnson. According to neighbors, they are all family members, a couple who's lived at the residence for a very long time and their adult son. Neighbor Leslie Washington identifies Shirley Hickman as Miss Annie. "Miss Annie is a beautiful pillar of this community. I was going through my own stuff and she prayed and encouraged me every time that I saw her," she said. "My aunt was a good God fearing Christian woman," a relative, Markesha Wooding said. Philadelphia Councilman Curtis Jones said, "They ran the Diamond Club around the corner which is a neighborhood place where people gather." Pennsylvania State Senator Vincent Hughes also came to share his condolences. He said, "It's such a devastation so sad. The family are pillars in this community." His chief of staff also lives on the block. Neighbor Marcella Daniels said she's known the couple for years and they will be missed so much. "Just really sorry. Sorry to see them go," Daniels said. Police say the fourth person inside the home, a 19-year-old male, was able to jump out. He, however, broke his leg and was taken to Lankenau Hospital with serious injuries. Neighbors say that was the couple's second son. "Our prayers go out to him. The Red Cross is here because obviously he won't be able to stay there," one neighbor told Action News. Neighbor Karen Tunstall said there was an attempt to save the family from the burning home. "I'm hollering up and banging on the door and yelling 'Miss Ann, come out, your house is on fire.' And I hear her calling her husband, 'the house is on fire,'" Tunstall said. But the flames were too intense. "One of the guys kicked the door in, but when we tried to get low and go in, the smoke was so powerful, it pushed us back out," Tunstall said.